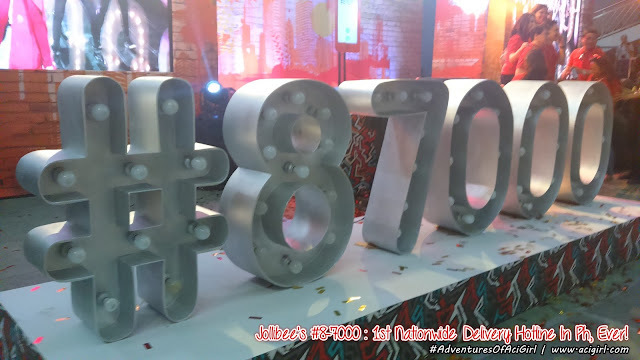 Jollibee's Delivery Hotline #8-7000 Now Up For The Madlang People Nationwide! Ever get tired of memorizing delivery hotline numbers? And kung namemorize mo naman na ang Jabee hotline di mo sya magamit specially whenever you are out of the metro city? Yikes!!! Fret no more cause that cutey bug we love (Jollibee) have a great news for everyone as in EVERYONE! Hundreds gathered for Jollibee’s “Isang Number Para sa Pinas” mall show to celebrate the launch of the fast food chain’s nationwide delivery hotline, #8-7000. The event, held at the SM Mall of Asia Music Hall, was headlined by three of today’s most popular stars—Sarah Geronimo, Elmo Magalona and JK Labajo. Sarah, Elmo and JK, all starring in Jollibee’s latest TVC promoting the country’s first centralized hashtag hotline, indulged the crowd with their respective performances. Afterwards, they joined to do a three-piece performance of the catchy #8-7000 jingle. 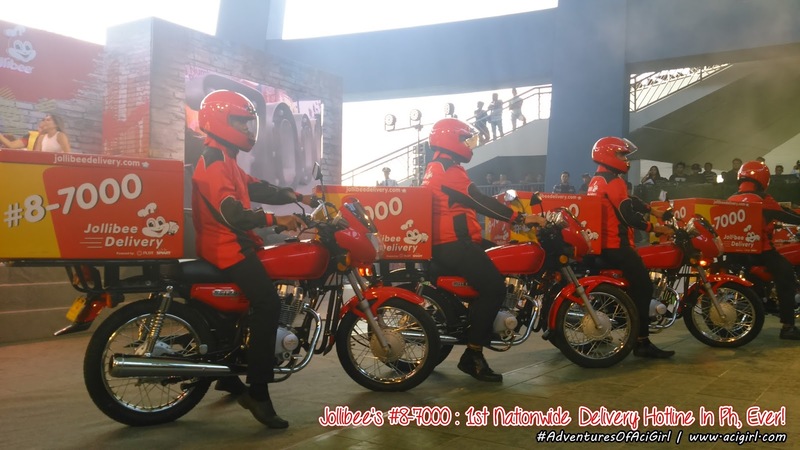 Jollibee further emphasized the efficiency of the Jollibee Express Delivery service, with the introduction of the hashtag hotline, by selecting random attendees to try it out. 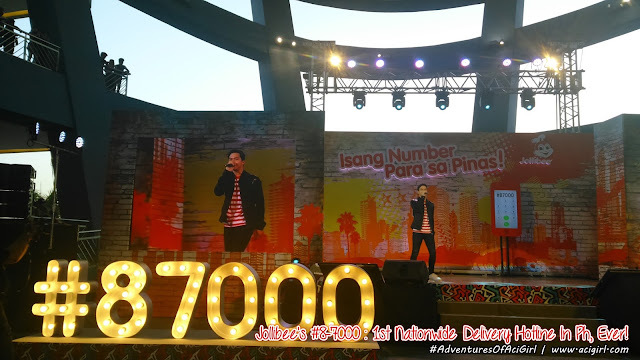 These volunteers dialed in #8-7000 on stage and requested for their favorite langhap-sarap meals, which arrived within the 30-minute guarantee. 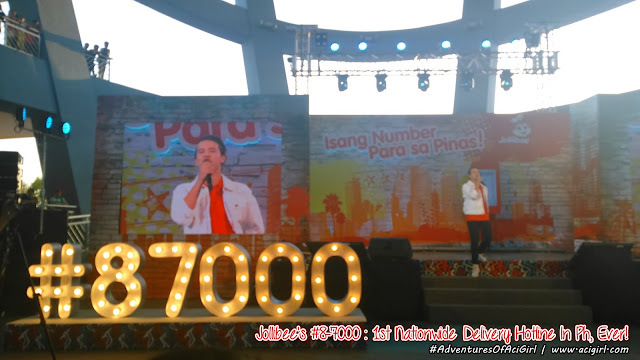 The hashtag hotline #8-7000 can be accessed through PLDT's nationwide network, as well as Smart, TNT, and Sun Cellular networks. 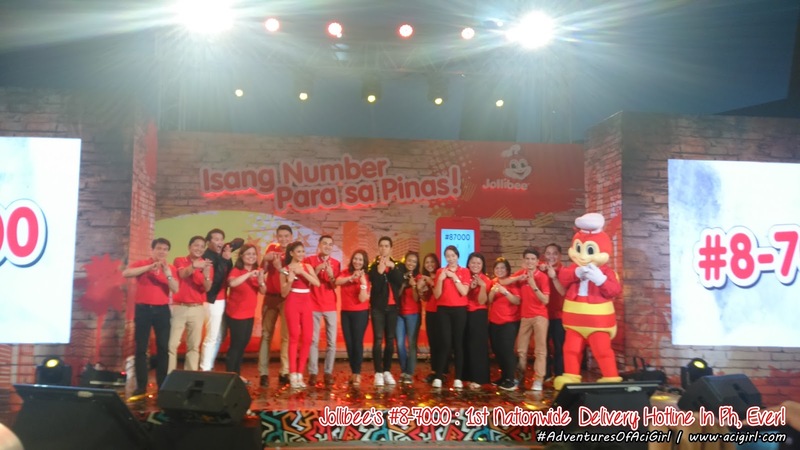 According to PLDT’s First Vice President and Head of PLDT ALPHA Enterprise Jovy Hernandez, they are very grateful that Jollibee Foods Corporation decided to centralize their entire delivery hotline system through the PLDT #MyNumber solution. VP and Head of PLDT ALPHA Enterprise, Jovy Hernandez. 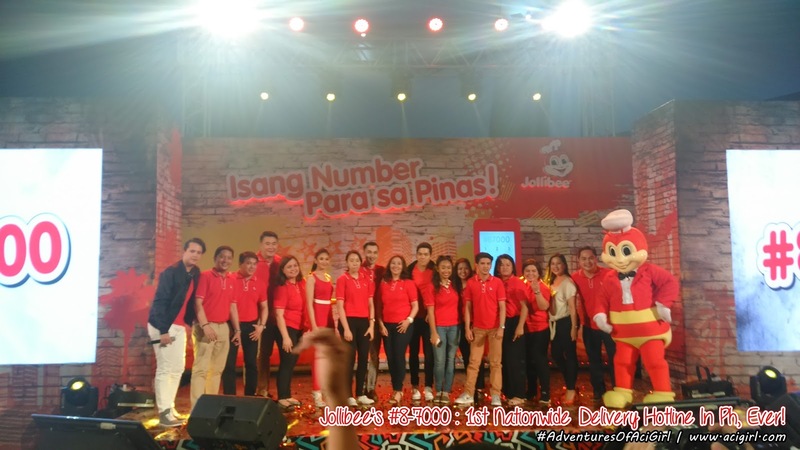 -Jollibee Vice-President and National Business Channels Head Manjie Yap. The Jollibee Express Delivery Hotline, #8-7000, can now be used nationwide. Filipinos in Luzon, Visayas and Mindanao can get their favorite Jollibee treats in an easy-to-remember number combination. With over 300 delivery stores nationwide, great-tasting Jollibee favorites are guaranteed to reach people within 30 minutes. 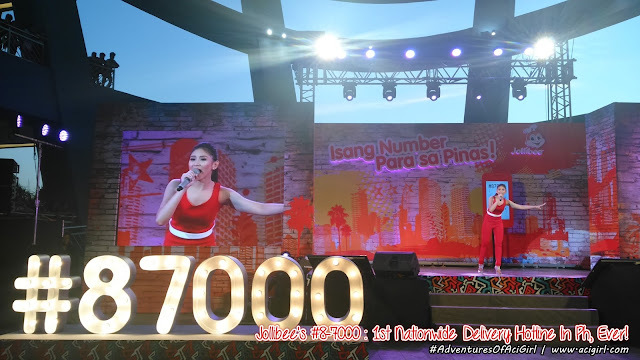 Oi oorder na yan... #8-7000 ah! enjoy your meal!